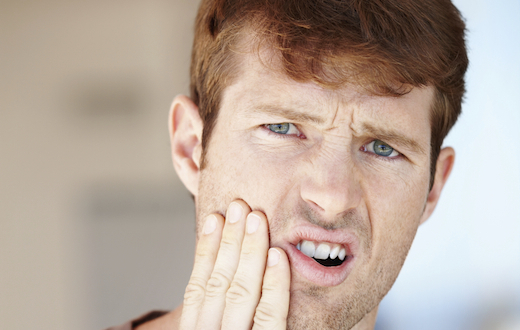 If hot or cold foods and drinks cause pangs of pain around teeth, then you’re probably dealing with tooth sensitivity. It may sound scary and feel even worse, but the problem is extremely common and has many options for treatment. Discover how family dentistry experts recommend facing this aching issue. Healthy teeth are protected by a coat of enamel above the gum line and a layer of cementum below it. Beneath both is a substance called dentin that prevents the heat, cold, and acidity of foods and beverages from reaching the tooth’s nerves. If this dentin recedes, the nerves have no protection from those sensations and the result is the sting of teeth sensitivity. Luckily, sensitivity can be treated by an affordable dentist in South Bend.